Thanks for whatever faving, watching, commenting, llama-ing or thanking you are about to do here. I will return every llama I receive. Requests are currently closed. Ask about commissions, art trades, collabs, etc. My groups. Feel free to join! There's some amazing stuff in here! Check it out! Thanks for viewing! Feedback is appreciated. The view at sunset from Namika Ozz Shrine in the Legend of Zelda: Breath of the Wild. Thanks for checking this out! Feedback is welcome and appreciated. I used Photoshop on traditional lineart. Another round of life drawings. These are what I consider the best of term 2 at school. Thanks for checking this out! Feedback is welcome. I am an animation student who loves Zelda, Pokemon, Fire Emblem, Star Trek, Fullmetal Alchemist, and more. I usually post fanart from these fandoms but once in a while I'll post schoolwork or other original pieces which I hope you enjoy. 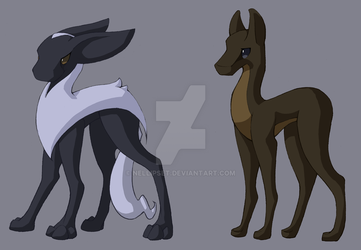 If ever you need to, you can call me Cubone, or Apollo (if you know me from FanFiction. My username on FanFiction is Apollo's Child, though take note that my stories were written when I was 13 so you have been warned.) Feel free to ask about requests/commissions for my current availability. I appreciate both as well as feedback on my artwork. I am also open to collabs and art trades sometimes, so note me or comment if you are interested.